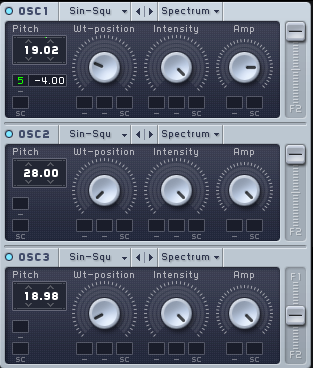 As you may already know, stacking and layering are very popular and effective techniques used in electronic music production. They both involve combining multiple sounds to synthesize something larger. Before the recent explosion of software synths, stacking and layering was done using keyboard hardware that featured multi-timbral, split, and unison modes. The composites are playable in this nature, unlike most stacks and layers in software – which are usually divided among separate instances (unless of course the composite consists of just a few modules). However, using the power of bouncing and resampling, you can consolidate your non-playable layers and stacks into one epic, playable sound. Pick the Synths – Firstly, decide how many components you want to have and whether they will be stacked (like a salad) or layered (like a sandwich). Stacked sounds typically share the same timbre – so keep those simple, like sine waves or filtered sawtooths in FM8 or Massive. Layered sounds typically highlight multiple timbres, like Absynth and Omnisphere do. Create the necessary amount of synth/sampler instances you will need. Draw the Notes – Next, draw one relatively long note for each track – at least 10 seconds long. 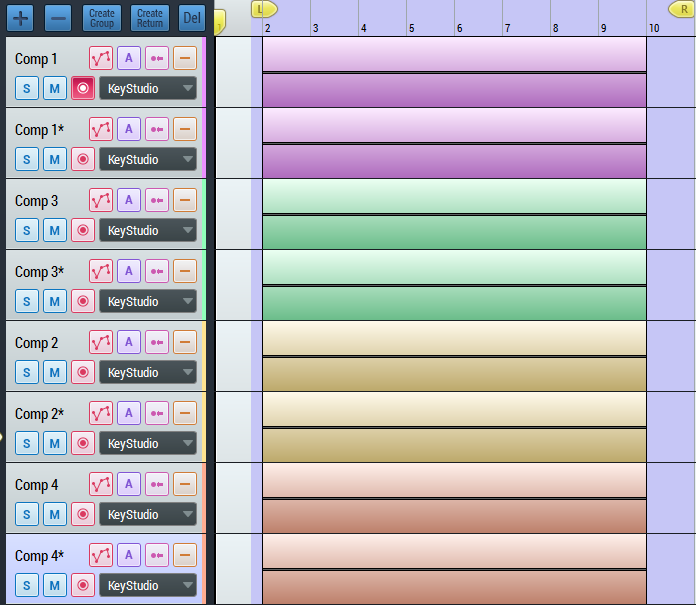 Then, make it the same note or separate them by octaves. 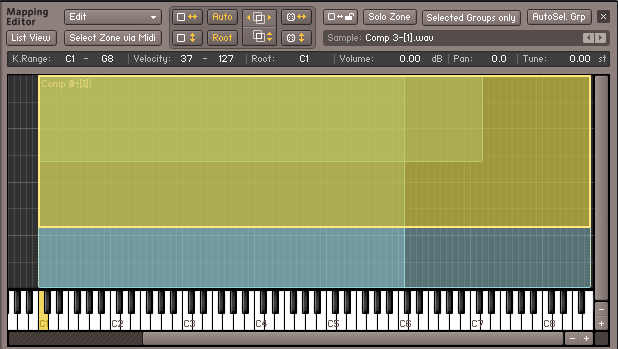 This will allow you to transpose pitches within the synthesizers without offsetting the 0 point. It is best to avoid a hierarchy of transposition, which usually over-complicates the process and throws off the overall harmony. Also, remember the note you chose to call 0, you will need this information later. C1 is a good choice. Tune and Detune the Pitches – Modify the pitch of the oscillators within the synths. This includes everything from subtle detuning to octaves. Again, although it is interesting to have non-perfect and non-octave intervals in the sound, make sure they do not influence the fundamental too much. For my example, I used major thirds and sevenths but at very low levels. (See Blog: Scales, Intervals). This sounds very natural because non-perfect and non-octave intervals exist at lower levels in the harmonic series. Individually Process (Optional) – If you want, you can add some subtle uniqueness to the components by dropping an effect on their signal chain. Smart choices for this step include: EQs, gate sequencers, delay, volume LFOs, phasers, chorus, and flangers. It is best to avoid reverb for now since we will be adding it later to the group. 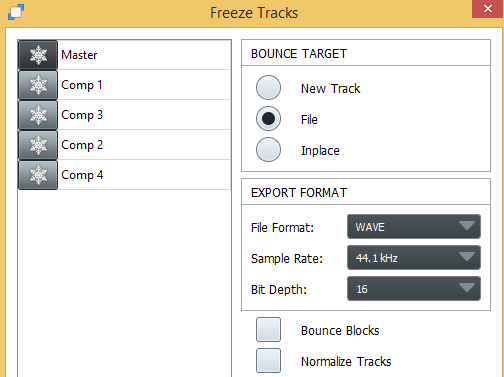 Automate – Feel free to automate the panning, level, and FX parameters on the tracks. Again, it is best to keep these changes subtle as they will be exaggerated by later processes. The Master output should sound something like this now…. Mixed or Individual – There is an easy, somewhat limiting way and a more comprehensive way to implement your components into the overall sound. 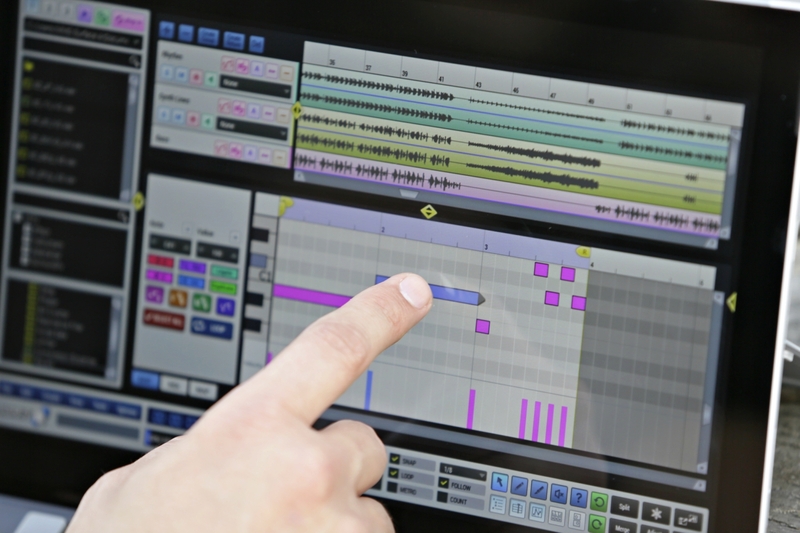 The easy way would be to bounce the entire 2-mix and drop that into a sampler. This method is consolidating and can evoke just as much interest as the longer method, especially if you do not plan to play the sound across a big range of the keyboard. However, it denies you any further individual manipulation of the components. Bouncing your components individually (which is what I will do for my example) will allow you to make further edits to each of the stems. You can use the freeze to file option in the freezing window to do this quickly . Subtle Variations – Make a subtle variation of each component and bounce those as well. Furthermore, good variations include: a slightly different waveform, slightly different automation, and bypassed/different FX settings. 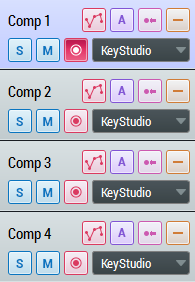 Note Mapping – Drag the samples you bounced in step two into ranges on the mapping window of Kontakt or another multi-sampling VST. Set the center pitch of every sample you drop to whatever note you used in part 1 (I used C1). It is okay to have each note trigger every component; however, consider mapping one or two of them to isolated ranges and do not put both variations of the same component on the same range. Velocity Mapping – Consider having different velocity ranges trigger a different number of samples or a different combination of samples. This creates a more dynamic instrument. Enveloping – Consider modifying the amplitude contour of some of the samples. You will need to make sure group edit is off to manipulate envelopes independently. 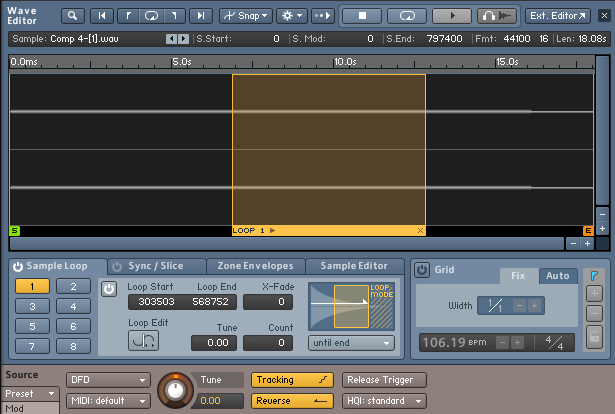 Looping and Reversals – Consider implementing some looping and reversals in a couple of the samples. Nothing too drastic though – as i’m sure you’ve noticed – there is a “keep it subtle” theme going on here. The instrument should sound something like this when playing your MIDI controller. Gates – Use gates to eliminate undesirable low level content and clean up the overall sound. EQ – Use EQ to add and subtract resonances. You may want to automate the position of bells and cutoffs. Gentle Compression – Use a compressor on the output with a low ratio, moderate threshold, and a couple dB of make-up gain to create a more cohesive dynamic between the components. The objective is to make them seem like they belong together, without adding noticeable distortion. Reverb and Space – OK HERE IS THE FUN PART! You can probably guess what these will do for the sound but I will say it anyway – it puts them in a room together, and makes it sound like they are in each other’s presence. It is best to fine-tune the reverb and stereo imaging parameters by ear. Recommending specific settings would be no use to you. With that being said, I would suggest the coarse-to-fine approach (See Blog: Strategic Mixing). Filters (optional) – Depending on the arrangement and instrumentation of the song, you may want to high-pass and/or low pass the final output to remove any rumble, harshness, or distortion caused by compression. STEP 5 – SAVE THE INSTRUMENT & PLAY AWAY! 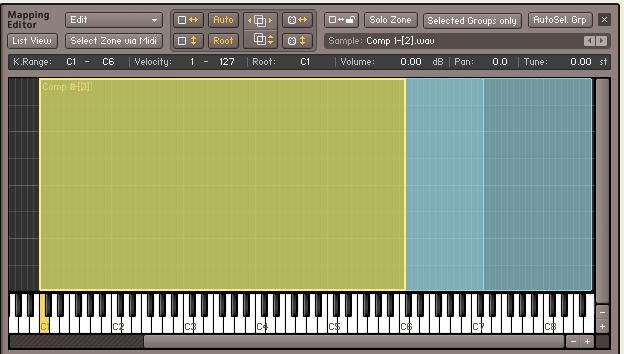 You can download my instrument HERE and use your own processing tools to personalize it!